OVER 50 PERCENT MORE STARTING CAPACITY: With advanced PowerRush™ technology so you can do more with less*. *Increases electrical current upon demand; above rated output when starting electric motors. 50 PERCENT QUIETER: For noise sensitive environments. 25 PERCENT LIGHTER: Helping reduce fatigue while improving portability. CLEAN POWER FOR SENSITIVE ELECTRONICS: With TruePower™. 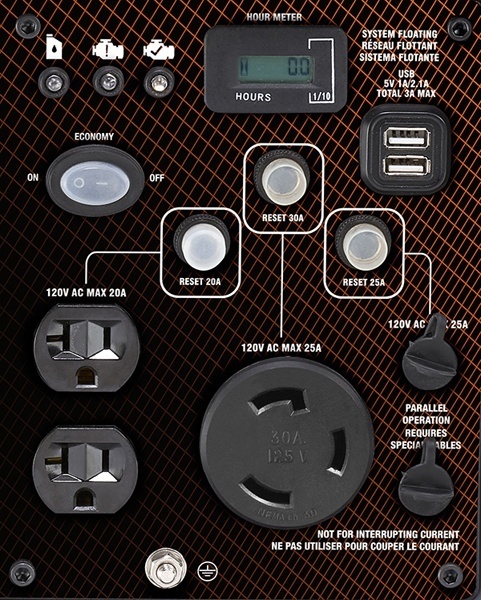 ONE SIMPLE-TO-USE DIAL: That integrates start/run/stop functions with PowerDial™. POWERRUSH™ ADVANCED TECHNOLOGY: Delivers over 50% more starting capacity allowing you to do more with less**. **Increases electrical current upon demand; above rated output when starting electric motors. USB PORTS: Charge mobile devices including smart phones and tablets. 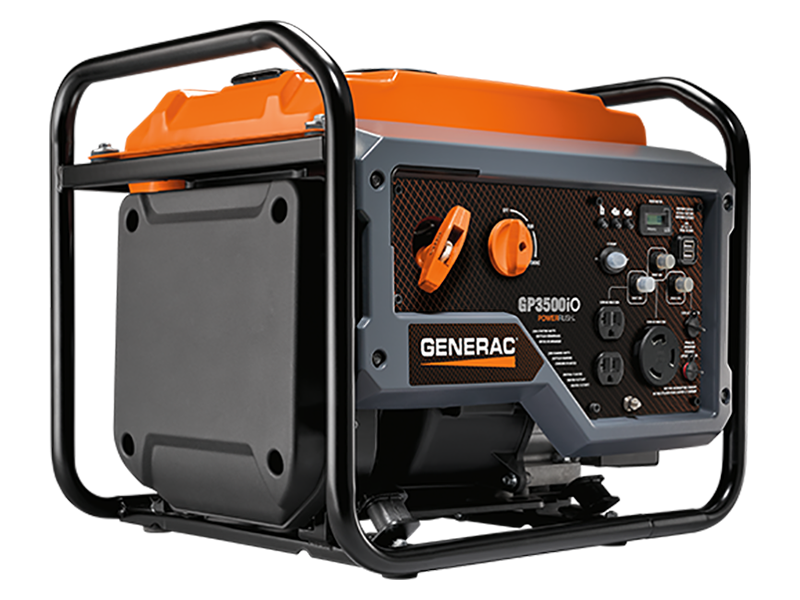 PARALLEL READY: Connect two GP3500iO inverter generators for twice the power. 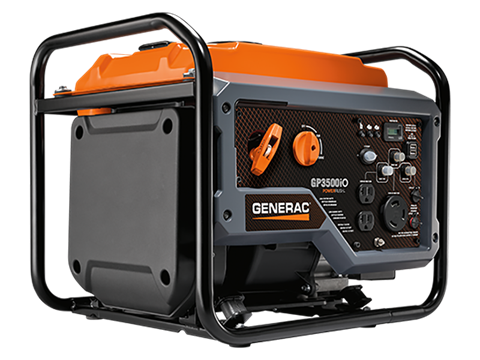 GENERATOR STATUS LIGHTS: Alert when unit is low on oil, overloaded or ready to use. Run time @ 25% rated load - 11 hr. Run time @ 50% rated load - 8 hr.